Philadelphia Common Pleas Court Judge Paul Panepinto slapped Atty. Nancy Raynor with nearly $1 million in court sanctions Nov. 4 because one of her witnesses testified that a woman at the heart of a medical malpractice trial had been a smoker, breaching a court order against such a statement. The family of the woman, who had died of lung cancer, won a $190,000 verdict, but Panepinto reversed the award and ordered another trial, finding that the smoking reference had unfairly tilted the scales in favor of the defense. The sanctions were intended to reimburse the woman’s family and her attorneys for the lost time and expense of the first trial. 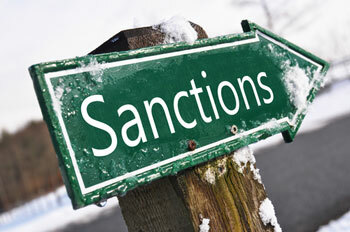 But the decision has triggered sharp criticism, not only from the society, but also from members of the defense bar and others, who say the amount of the sanctions is unprecedented, and, given disputed facts in the matter, unwarranted. Defense attorney, Nancy Raynor, and members of the defense team say that she repeatedly advised the witness of the judge’s instructions. Unfortunately, Raynor’s malpractice insurance excludes coverage for court-imposed sanctions. Now, Doctor’s rally on behalf of lawyer facing $1m sanctions and the legal community in Philadelphia is in an uproar. Yet another reminder of the heightened stakes in our profession. See also, Lawyer sanctioned $1M for allowing smoking reference in med-mal trial. This entry was posted in Chalk Talk and tagged attorney, med-mal, Philadelphia, sanctions.